Have anxiety about hiring the right mover for a long distance move? There's no need to worry. 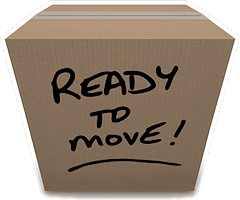 Lake Coeur d'Alene Movers / Stateside Movers LLC has moved a lot of people in the Coeur d'Alene region and North Idaho with moves in and out of the state. We are a customer driven moving company offering our moving services within CDA and to or from Coeur d'Alene. 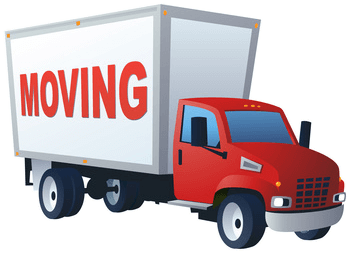 These long distance moves that cross state lines makes us a CDA interstate moving company for your household goods to the new place you want them to be at your convenience. CD'A is a professionally run company with several years of experience in long distance moving for household items. We have a team of qualified staff and modern moving tools and equipment to ensure the efficient service and delivery for our valued customers. Our CD'A Long Distance Moving Services can be trusted and relied on for long distance moving beyond the borders of Idaho. We offer you moving services along with state of the art tools (especially for heavy gun safe moves); we give extra attention to your goods and their safe transport making us the company of choice for several clients in the area and we do have repeat business from customers who know us by name. Our movers and experienced and trained to be professional on every job. Our goal as a company is for total satisfaction for each and every customer. The five star reviews we have on Google Maps says a lot for our small company. Call us at (208) 770-0845 or click on the link below for a free quote today. Moving from one office location to another office location can be tiresome work that takes several days for do it yourself movers. With proper logistics, Lake Coeur d'Alene Movers / Stateside Movers LLC and our "North Idaho Movers" division helps in reducing this work load for you, and may even be able to do a huge complex move in just one day with the right planning. Whether it is within CD'A or any city in Idaho, we are prepared to give your company the best service. Lake Coeur d'Alene Movers / Stateside Movers LLC sets a high bar for customer satisfaction for both commercial and household items being moved locally or long distance. We talk with you to fully understand all your needs and relieve your worries, helping assure you we can do the job both safely and efficiently. The security of your belongings and or goods is also important and we take steps and safeguards to help insure that everything is delivered on time and every item makes it to your new address. Why risk your back, knees, ankle and shoulders trying to carry heavy loads and or bulky furniture? Our CDA Residential Moving Services can protect your back and joints while also freeing you from the stress and risk to health and or your life that some possessions can pose, such as heavy gun safes, pianos, or even just large armories. 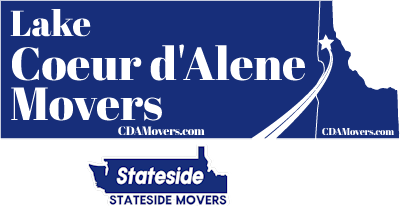 CD'A Residential Moving is in Idaho to make heavy work lighter for you. We are customer focused company with a team of qualified staff. We trip lease moving trucks from major companies to help ensure that your goods are moved to a new destination. On long distance moves, trip leasing a moving truck from a major respected company like Penske helps ensure that a breakdown won't cause an extended delay on the delivery of your goods. Penske's well known for keeping their trucks up to date and well maintained. Our small company can save you a lot of money vs what you might pay a national moving company for the same move. Our rates can be lower across the board when you start factoring in mileage, weight, fuel, and the number of movers for the loading and unloading of your goods.